Do you love your pets as much as a child in your family? Aren’t they something more than just innocent animals. They sure are awesome company and are really important to you, so buy something productive this time and make them feel proud about their master!!! 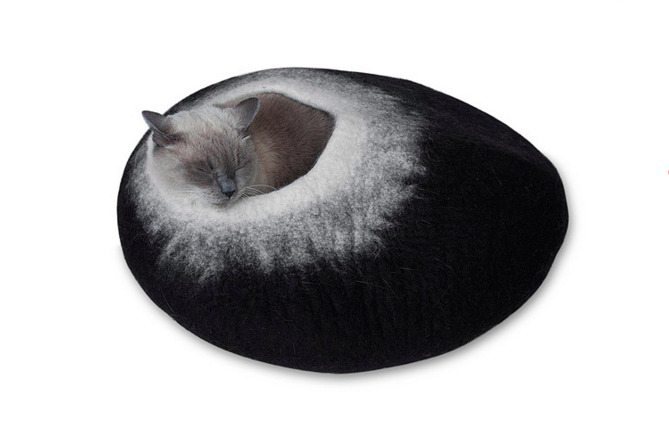 This cat cave is handmade in Nepal, and wool used for this amazing cozy stuff is from New Zealand and Tibet. Dogs love playing with Goughnuts and will love you even more if you gift them one. Think of it as a ‘doughnut’ that dogs go nuts for! Protect your dogs paws with this slip-on boots. 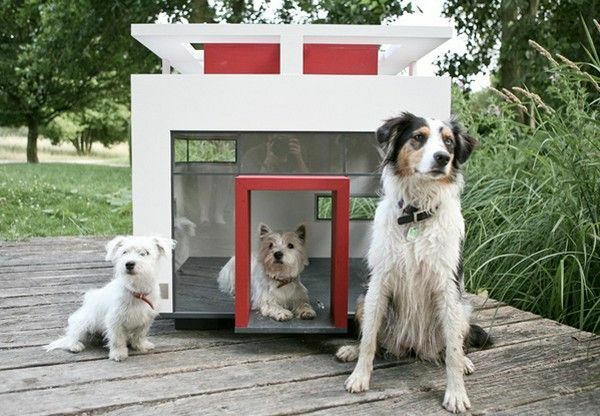 Spend some on this absurdly priced modern dog house. This is worth!!! This pet carrier is cool because it also functions as a bed. Nothing can be more comfortable than this for you and your pet while travelling. This is a safe and sturdy version of hammock which will suit your dog. Bring out your cats wild side and watch him really enjoy this cool gift. This is a pet-friendly version which features a carob (used as a substitute for chocolate) coating and yogurt chips. This something that can go with full size couch. So buy something that suits your living room and let them have his own couch. This will keep your pet hydrated throughout the day and it has a charcoal filter to purify the pet hair from water. Isn’t that cool? Did you like these ideas? Comment below!!! 10 Obvious Reasons Why We Are Equally Curious And Excited To Watch Dilwale!! !